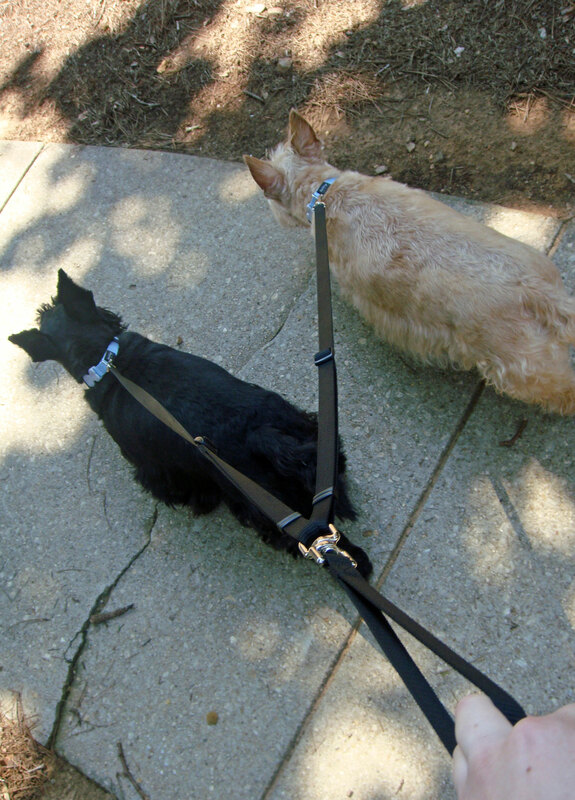 I never dreamed of the day I'd be able to walk both dogs on one leash. Mr. K is known to be a bit unpredictable on walks, darting here or there after a cockroach or a floating leaf, even zig-zagging from one side of the walkway to another so he can make sure all 'his' territories are marked. Over the last year or so, I've noticed he's calmed down a bit (unless other dogs are around) and my little pups are now labeled as "twins" by neighbors as they are notorious for walking side-by-side wherever we go these days. And so, I figured now was as good a time as ever to try this new leash out. At first, using the new leash was unnerving. I worried if Mr. K darted after something if it would hurt Heather. Turns out, even if he tries, he doesn't go very far. Heather is a very sturdy girl and she's not likely to go anywhere she doesn't want to. Nine times out of ten, when Mr. K acts up, she digs her heels into the ground and stares him down until he gets the message, calms down and waits for her to decide to join him (or not!). If I had known Heather could be so helpful in taming the wild beast of a Scottie that Mr. K can be on a walk, I would have done this sooner! Just two or three weeks in, I can say this new leash has definitely made all the difference in life. No longer am I juggling two leashes (and switching them round and round to accomodate every move the Scotties make), poo bags and an access card to let us back into the building and in the elevator. Now it's just the one leash, leaving my free hand to reach for the access card as needed or to scoop up Mr. K when he gets a little testy and feels like challenging another dog. The only problems (although humorous ones!) I've encountered are watching the two walk on either side of the ottoman morning after morning, forgetting they are now tied together and can't go very far apart. The second is watching Scottie Grandmadre scowl now that she can't have Heather to herself when we visit and go for walks. The way I see it, though, grandparents aren't supposed to play favorites anyway. Equal belly rubs and treats for all! Have you looked at radley.com? 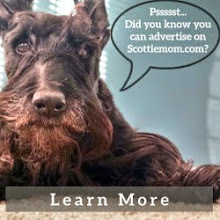 Cutest Scottie stuff, I am addicted to checking out this British site, pricey, but they do have sales! Love seeing the pics of your pups, am soooo ready to get a black Scottie for my child/wheaten! 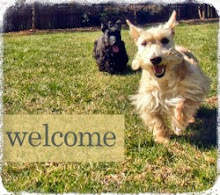 Thanks for the interesting blog post - I have the same issue with my two boys: Wally is steady and calm on walks whereas Sammy is a total hooligan and as a result his scottie cramp sets in within 2 min of our walk. I think I am going to try a double leash like yours and see if it works for us.